1987- 2017: every year an innovative idea that has made packaging history! 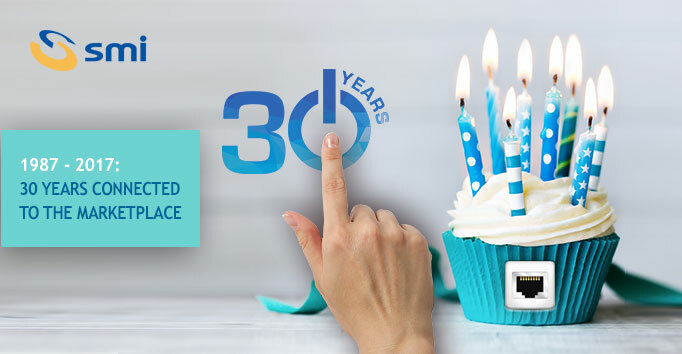 It's not easy to sum up in a few words the goals and results achieved by SMI in 30 years of operation, because every year has brought a new innovative product! Actually, continuous innovation has always featured in our corporate mission and has enabled us to design, manufacture and offer, to thousands of customers worldwide, cutting-edge technology machines and systems capable of easily and effectively adapting to market requirements. Everything has been made possible by an entrepreneurial spirit inspired by listening to and sharing our clients real needs, which has made SMI a business always connected to the marketplace. We are grateful to our customers who have demonstrated a growing trust in our organization and products and we would like to thank them all. To celebrate our 30th anniversary we designed a new logo conveying our forward-looking philosophy and innovative enterprise from which our bottling and packaging machines are increasingly inspired in conjunction with the principles of Industry 4.0 and the Internet of Things (IoT) for fully automated and interconnected manufacturing systems. For further information about the SMI range of products don't hesitate to contact us. Thank you for your attention.